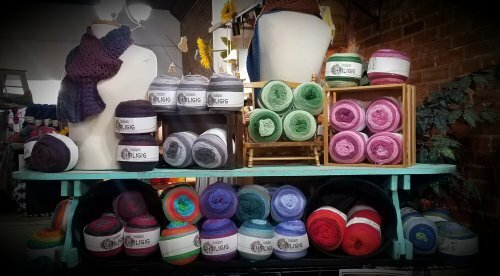 News From The Yarn Garden! Sirdar Baby Boutique Yarn Tasting - You're Invited! I'm throwing a baby shower in honor of the all-new Sirdar Baby Boutique and YOU are invited! You'll have the opportunity to try out four different yarns from the Sirdar Snuggly line, be inspired by several new pattern ideas, ooo and ahhhh over some adorable baby sized knits, and enjoy some baby-shower-themed refreshments. Sign up on YG's website beginning at NOON today, Friday, February 8th! There are only 12 spots... they are sure to go quickly. For more details, click on the photo below. 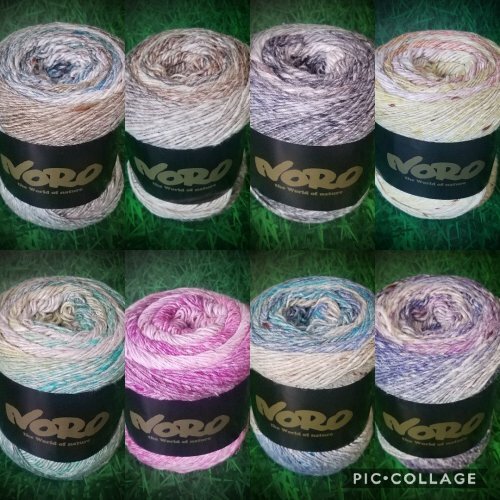 Noro Akari boasts quite the composition of fibers, with 26% Silk, 21% Cotton, 15% Viscose, 14% Mohair, 12% Wool, and 12% Polyamide. 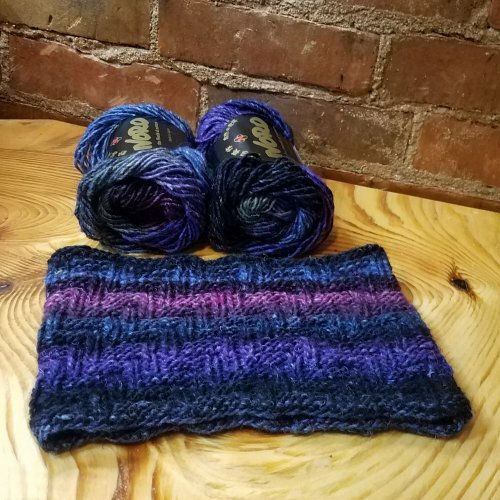 It's a single ply like most Noro yarns, with a soft feel and fabulous drape, wonderful for warmer weather knitting. The color range is subtle for Noro, with each colorway transitioning from natural to a dark hue of the same and back again, with some colors throwing in a darker neutral. 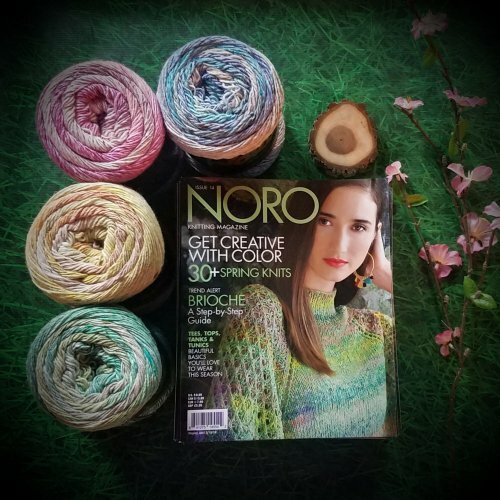 A few patterns that utilize this worsted weight yarn can be found in the newest issue of Noro Magazine, Issue 14. There are some fantastic brioche patterns (Noro is AMAZING in brioche!!) and a few great cowls that use Noro Sonata, another warm weather yarn blend you can find at YG. I have to brag about my customer-friend, Charlotte. She asked me recently if there was any sample knitting that she could do for me. I knew her skills as a knitter, so I jumped right on that opportunity! Here are two of her latest creations. The first is a great little cowl knit with Noro Silk Garden. 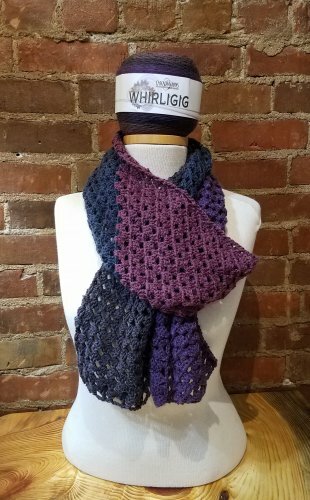 This is perfect for slipping on when you need a little extra warmth with your sweater or a close fitting scarf under your coat (click on photo for pattern link to Ravelry). Charlotte's next project for me was this adorable baby sweater, knit using one of the sport weight, self-striping sock yarns. We loved how this yarn highlights the unique construction of this clever little baby sweater, designed by Ysolda Teague (click on photo for pattern link to Ravelry). The last sample that has sprouted up recently is this crocheted (by me!) scarf, worked as a granny square, but on the bias, to maximize the gradient cake style yarn from Cascade. 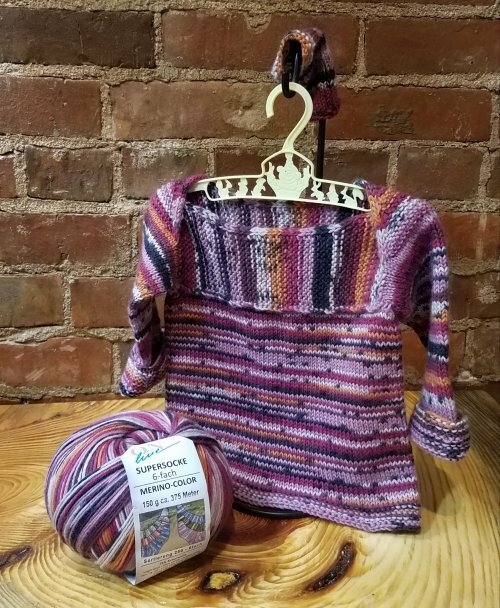 Whirligig is the featured yarn here, and it's a superwash merino/nylon/acrylic blend. I love this yarn for kid knits or bright happy scarves, and anything in between (click on photo for pattern link to Ravelry). Check out this display next time you're in and pick out your favorite color combo! 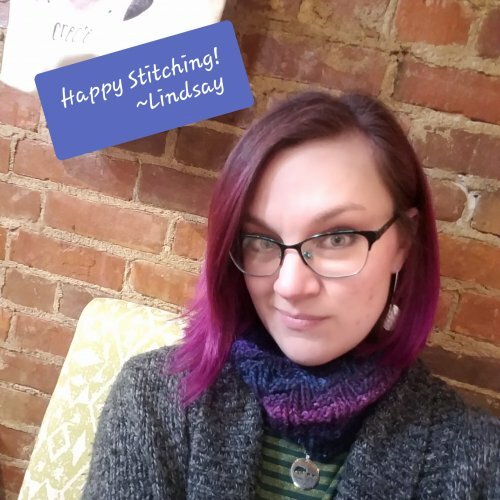 Beastie number one has begged me for a scarf for quite a while, so I finally gave in and cast on a simple garter stitch scarf with some bulky wool she picked out. She loves to sit on my lap and work the needles while I wrap the yarn. We're a great team! It may take us until NEXT winter, but it will be warm and cozy when we're finished. I'm also plugging away on my Weekender sweater... I'm on sleeve two and hope to be finished this weekend and wearing next week! Check out the cowl in the photo... it's the pretty Noro one from above! I swear we picked out the color before I dyed my hair this time around... but it certainly looks great together! !